Great hosts! 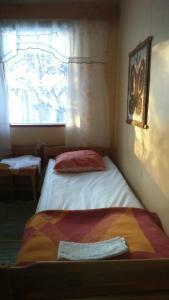 Quiet, comfortable & well equipped apartment. 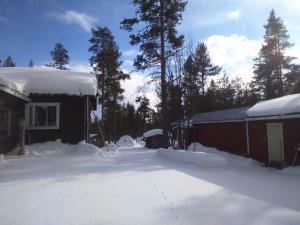 Location 100 meters from maintained XC ski tracks. Hosts are great! They do much more than you can imagine to make their guests happy! I have never experienced such warm welcome and hospitality. In apartment you will find much more than you need for your stay. Unforgettable holidays! Thank you! The hosts were very sweet, proactive and kind in guiding us to the place before we arrived. The place was set up well and there was plenty of amenities in the rooms and kitchen. The kitchen and fridge was fully stocked to cook dinner. This was very helpful as we arrived late in the night. Very nice place, nice small cottage, good facilities; sauna etc. The location is very good, very close to the bus stop. Surrounded by the pretty and quiet natural environment and you can fully experience now nice the natural is. The house owner and family are all very nice and helpful people. A very sweet family at all! The small tree house that I stayed in is very traditional tree house. I loved it too!!! Highly recommend for travel alone, with friends or family. A good place to spend your vacation there and experience it. Drugi nasz pobyt w tym obiekcie i ponownie wszystko zdecydowanie powyżej oczekiwań. Jedno z najlepszych doświadczeń. Wspaniali gospodarze, cisza, położenie praktycznie na trasie narciarskiej. Rewelacja! Isäntäväen vieraanvaraisuus ja aitoa Lapin perinteistä tunnelmaa. 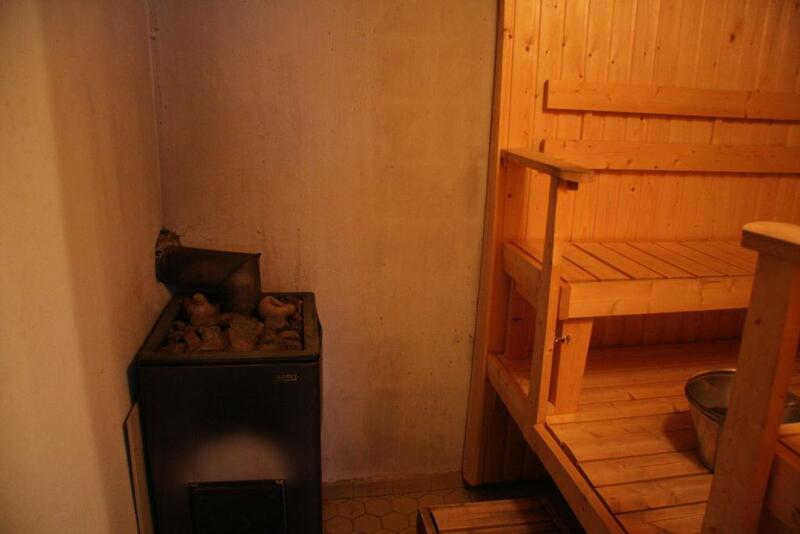 Sauna oli todellahyvä,ja isäntä väki oli palvelu henkinen, joka pitää rahallisesta luonto ympäristöstä niin erinomainen paikka. Isäntä Aimo oli hyvin lämminsydäminen ja toivotti meidät hyvin tervetulleiksi. Saimme jopa saunoa, vaikka varausta emme olleet tehneet. Suosittelen! 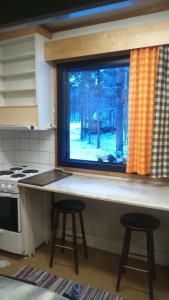 Lock in a great price for Kiiloselän Poropirtti – rated 9.6 by recent guests! 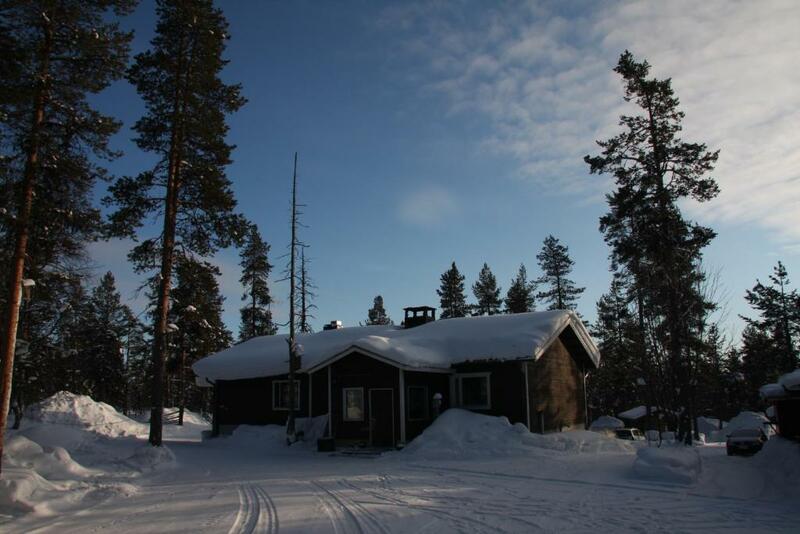 Originally an old reindeer farm, Kiiloselän Poropirtti offers accommodations in Kakslauttanen. Popular in the area are Urho Kekkonen National Park and Kiilopää, which are only 3 mi away. Saariselkä is 7.5 mi from the property. A microwave is also featured, as well as a coffee machine. Some units also have a kitchen, fitted with a dishwasher and oven. Bed linen and towels are offered. Kiiloselän Poropirtti's includes a shared wood burning sauna and fireplace. Guest can also enjoy the nature. Hiking and skiing are popular in the surroundings. 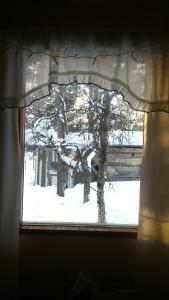 Kakslauttanen is only 1.1 mi away.The nearest airport is Ivalo Airport, 24 mi from the property. Rovaniemi is 154 mi away. 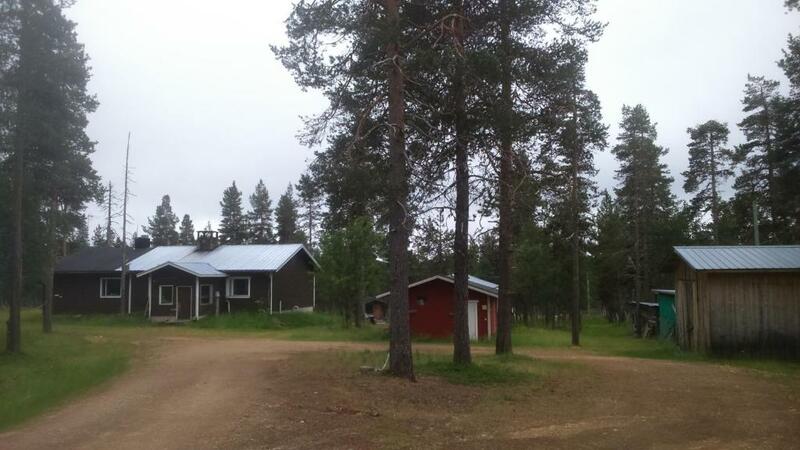 This property also has one of the top-rated locations in Kakslauttanen! Guests are happier about it compared to other properties in the area. 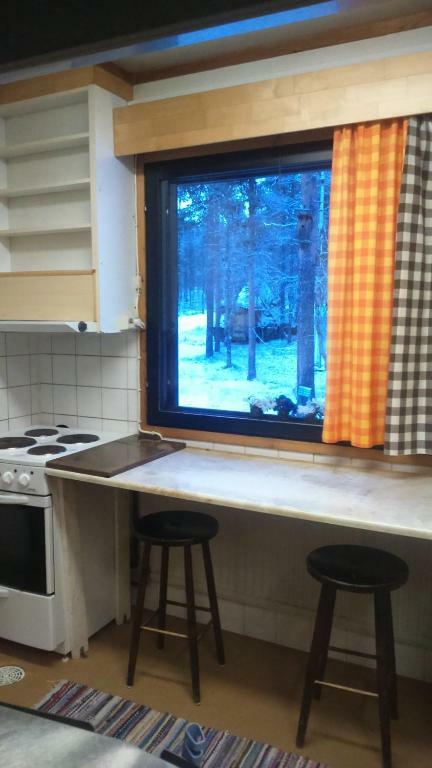 This property is also rated for the best value in Kakslauttanen! Guests are getting more for their money when compared to other properties in this city. When would you like to stay at Kiiloselän Poropirtti? 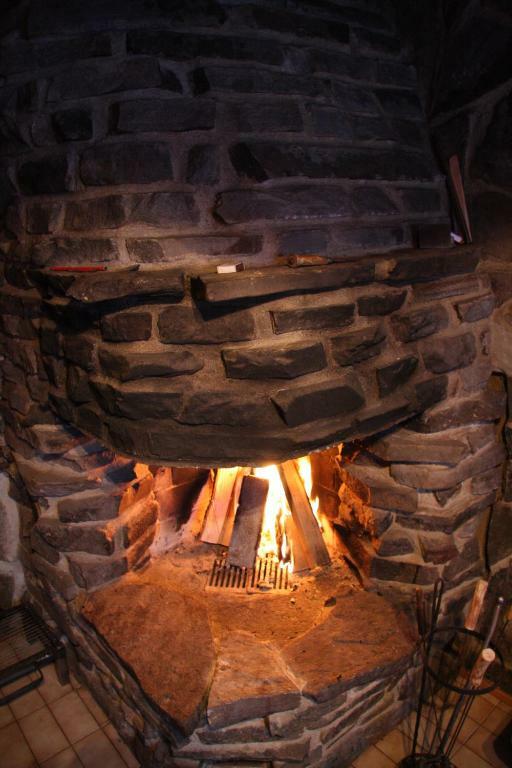 This holiday home has a fireplace, a private bathroom and additional toilet facilities. Guests can cook their meals in the kitchen, which is equipped with kitchenware, a dishwasher and stovetop. This pet-friendly chalet has a private entrance, coffee maker, microwave and fridge. The shared bathroom and kitchen are located in a neighboring building. 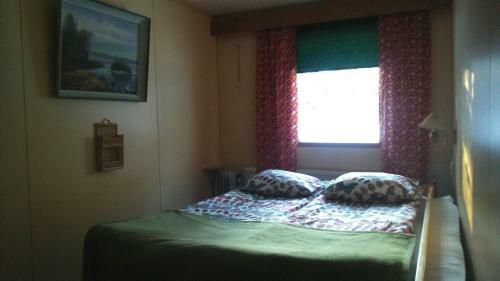 This pet-friendly chalet has a private entrance, coffee maker and microwave. The shared bathroom and kitchen are located in a neighboring building. This place is an old reindeer farm, which was originally established in 1978. Space has been expanded in the 1980s. This place is surrounded by an ordinary living yard where there are wood, tools and accessories for maintenance work. In the summer, there are wild plants in the yard, that have always been here. A people who likes nature, movement, enjoying the tranquility of a visit here. You're welcome ! Aimo is the host and together as a family to take care of this Kiiloselän poropirtti, cottages and maintenance of the building. In the family everyone likes the tranquility and nature. We hope that also you will enjoy your vacation here ! Location: Kakslauttanen 2 km Kiilopää 4 km Saariselkä 12 km Ivalo 42 km Sodankylä 120 km You can get the convenience of our bus. Ivalo Airport, a public airport shuttle. Tieva bus stop is n.200metriä the house, which passes through the ski bus Saariselkä in winter. House Rules Kiiloselän Poropirtti takes special requests – add in the next step! Please inform Kiiloselän Poropirtti of your expected arrival time in advance. You can use the Special Requests box when booking, or contact the property directly using the contact details in your confirmation.